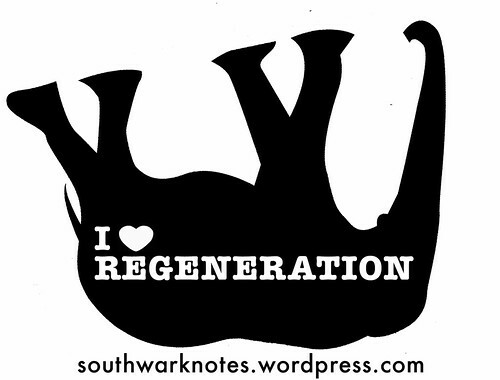 Keys Now for Aylesbury Residents Trapped Behind Regeneration Fences | Southwark Notes - whose regeneration? 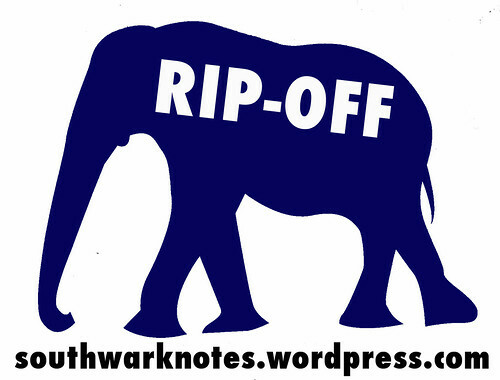 Hopefully you know by now that the Aylesbury Estate in Walworth is being ‘regenerated’ by Southwark Council. It’s a very big deal because the Aylesbury’s 2700 flats are currently home to an estimated 7500 residents. The plan is to demolish the existing estate and, in partnership with mega-Housing Association Notting Hill Housing (NHH), to build nearly 4000 new homes. 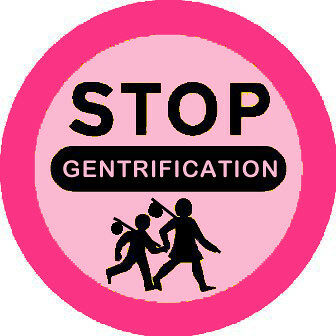 In reality (just like Heygate Estate ‘regeneration’ before) the regeneration and demolition of the Estate will result in thousands being displaced not only from their current homes but also from the local area all altogether. Nearly 400 households were decanted in Phase 2 and only 34% of them were able to find existing council homes in the local area. 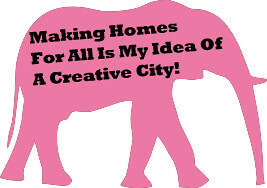 Aylesbury Estate council tenants have limited rights to return to the area and none will be returning as council tenants to any of the new homes being built. Council stats show that decanted tenants are moving to existing council homes right across the Borough. Some of those people might choose to return to the area to the NHH new homes but under what conditions – higher rents, less secure tenancies? We don’t see that this is a particular beneficial option for 100% of those decanted in the name of ‘regenerating‘ their estate. A percentage of ‘affordable homes‘ will be built on site, 50% closer to cheap council rents and 50% shared ownership homes. We don’t need to rehearse the arguments about the latter being entirely un-affordable to local people. Whether the social housing units provided by Notting Hill Housing will be close to existing council rents or more likely be the NHH-preferred ‘affordable rent’, well, we aren’t holding our breath. ‘Affordable rent’ means such rents being charged up to 80% of local private rents which, of course as the local area gentrifies faster and faster, means such ‘affordable rents’ are rocketing year by year. FENCED IN – ‘TO MAKE US SAFE OR TO MAKE US INTIMIDATED’? 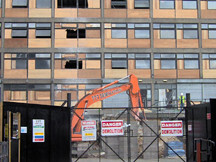 Unlike the Heygate, the demolition of the Aylesbury has been taking place in phases. L&Q Housing Association in partnership with the Council had already demolished the Wolverton blocks at East St and ‘regenerated’ them – 147 new homes, 49 of them affordable rent at 50% of local private rents. The next phases though are all Notting Hill Housing with the First Development Site (FDS) comprising of four Aylesbury blocks, two high towers and two low rise ones. The Council’s own timeline indicated that demolition would take place in summer 2015 with the first new homes available in autumn 2017. Things have however gone very differently. The Council failed to gain possession of all the flats in the area of the FDS. Leaseholders who own their homes on Aylesbury have been facing a nightmare. Faced with the Compulsory Purchase of their homes, the compensation they have been offered by the Council does not enable them to buy anything equivalent locally. And so our tale begins. One Aylesbury Estate resident has lived in her home for 27 years and loves it. She is maintaining an amazingly strong and dignified fight to receive adequate compensation to stay local to the area she also loves. But of course it’s not easy to stand firm and the fight comes with tons of stress and aggravation. In November 2014, Leaseholders in the FDS had a meeting with the Council to discuss security issues around the emptied out blocks and how they might deal with safety and anti-social issues. In January 2015 housing campaigners occupied the empty Chartridge low-rise and maintained a successful protest against the social cleansing of this regeneration programme for a couple of months. This was the Council’s worse nightmare as it brought a ton of publicity to the many arguments for refurbishing and saving the Aylesbury. It was during this occupation and definitely in response to it, that the Council suddenly began fencing in the blocks in the First Development Site. Southwark claimed that the fencing in was needed for the ‘safety of residents’ because of the protests. The resident told us in February 2015 as we looked down from her flat: ‘As you can see downstairs, they are boarding us up. They are boarding up the circumference of the building. I don’t know whether that is to make us safe or to make us feel intimidated. Because this really shouldn’t be taking place until after they have sought possession”. ‘Access to these blocks will be via the pedestrian and vehicular gate in Westmoreland Rd. The entrance is for use by all residents, visitors, deliveries etc and once operational your only means of entrance to your home will be via these gates. This entrance will have 24 hour security personnel presence in position to ensure that your access to the estate is not impeded’. And so began the life behind the fence where leaving your house forces you to walk a whole lot further each time to access the one gate and where you don’t know how long it will take to get back in again. ENOUGH MISERY! FENCES MUST GO! It was with local support and outrage at what people were called the ‘Alcatraz fence’ and the ‘Berlin Wall’ that the new fence became its own infamous image of what everyday violence regeneration happily dumps on people’s heads. It seems so entirely symbolic in the sense of the Council’s urgent desire to get residents off the estate that they could leave through the gates using the door handle but couldn’t get back in without having to ask! You can go and please don’t come back! The fence became a perfect site for slogans and posters in both chalk and paint against the regeneration of the Aylesbury. There was even a protest on 2nd April where 300 people marched around the fence and parts of the crowd pulled down three large sections of the fence in anger. But, as we wrote at the time, as good as that direct action was, the struggle against social cleansing continues every day in small and minute moments of organising against it. The day after the fence was pulled it was rebuilt and remains almost two and a bit years later both the impediment to normal life that it is for residents and the material reality of how awfully the Council can treat people in the name of the local benefits for all from regeneration. ‘A few weeks later we were still walking throughout the estate with just the fencing up, they hadn’t put any gates in. Then, all of a sudden, one day I saw them putting gates in. Maybe about three weeks after they started to put the fencing up they started putting these gates still thought well, they are putting gates in clearly they are going to be giving us keys to access to come and go cause we live here, this is our home. And then all of a sudden we was told we couldn’t access the building at certain points and after 27 years of coming in the estate whenever I wanted to at whichever point I wanted to, if I came in on Albany road, her, obviously that’s the nearest bus stop to me, with shopping and stuff which makes it easier, more accessible’. They have many tales of not being able to get into the Estate, waiting for security guards, being stuck outside late at night etc. This has been an entirely unnecessary regime imposed upon the residents. Postal services have been a constant battle to maintain delivery of vital letters as well as general disrepair in the blocks. In March 2016, the main lights in the blocks were broken for four weeks leaving the residents in darkness in the public areas. In December 2016 they were trapped in the lift for an hour when it broke down. The lift has broken down due to a water leak that they had reported a month before to the Council. The need for a secure fence is not controversial. It’s normal practice for guarding development sites and having one is not the argument we are making. What FDS residents have been asking for for ages now is easier access such as the gate having a lock and key, a numerical keypad and code or a swipe card lock. None of these things are costly or difficult to install and would give residents the autonomy they should have had from day one to come and go on their own terms. 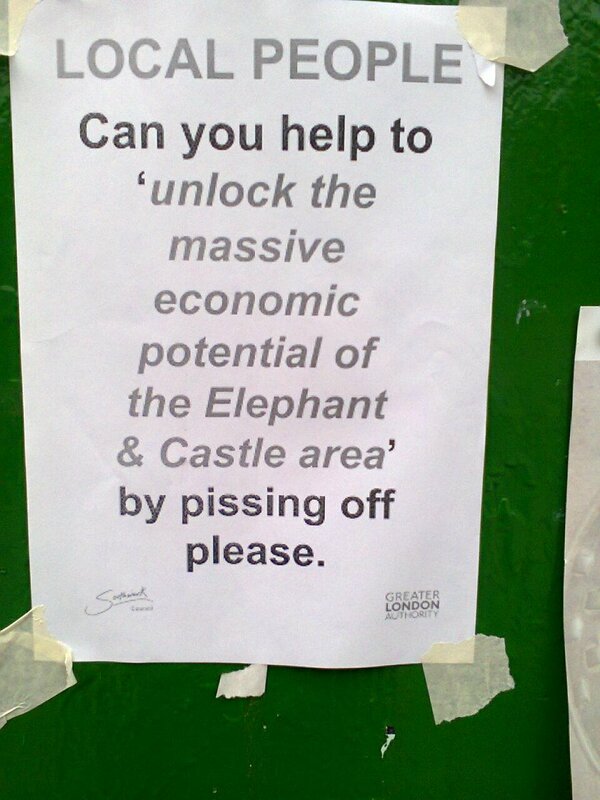 In March 2015, Mark Williams, Southwark Cabinet Member for Regeneration told South London Press: ‘We will continue to review these arrangements to make sure they work for the residents and that we respond to any feedback we receive‘. These ‘arrangements‘ have clearly not worked for residents since day one so what’s the point of continuing to make residents suffer in this way? the Council per month for the security company. eg over the last six months. Being forced to lived behind the fence because you are unwilling to move out of the area and are demanding proper compensation for you home becomes somewhat spiteful when the Council has spent close to £900,000+ so far on this over the top security. With the current demolition of the Bradenham, Arklow, Chartridge blocks happening under residents noses within the First Development Site, we are asking of the Council that residents are now given some form of self-managed entry and exit from their homes. The next round of the Public Inquiry into the Compulsory Purchase of leaseholders homes is not until October so it’s time now for the Council to sort this for residents! We don’t believe the security regime is mostly about security. We believe this disgusting treatment of residents who are putting up a fight for housing justice is entirely because of that fight. We agree with residents – this is just intimidation and an attempted war of attrition. Enough is enough. KEYS FOR RESIDENTS – WHAT CAN YOU DO? Creation Trust is a ‘charity dedicated to residents on the Aylesbury estate and ensuring they receive the benefits of the regeneration of the area’. This entry was posted in Uncategorized and tagged Aylesbury Estate, fence, keys, Notting Hill Housing, social cleansing, Southwark, violence. Bookmark the permalink.